Chemical peels have returned to the forefront of the practitioner’s armamentarium and are popular because they offer nearly immediate results. 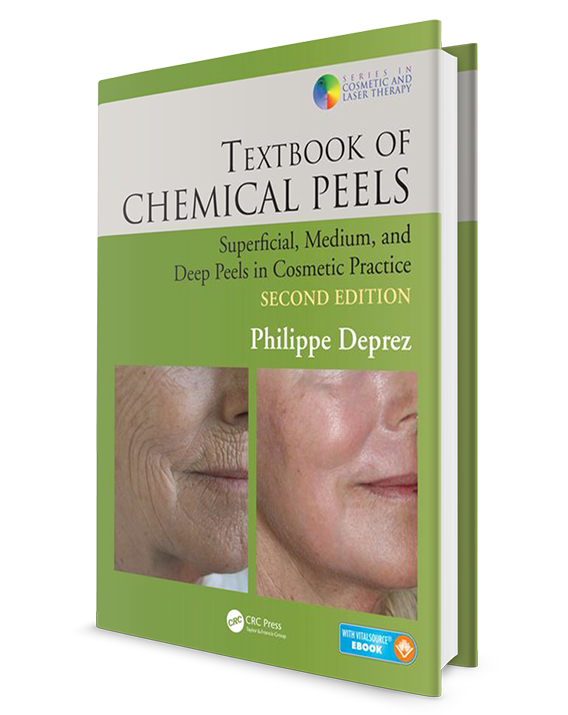 The Textbook of Chemical Peels is the definitive guide to all types of chemical peel treatments. It covers the practical application and scientific background for a wide variety of chemical peels. The book reflects the new classification of peels as a medical, rather than cosmetic, treatment and helps providers by making chemical peel formulas easier, safer, and quicker to use. The book covers the appropriate selection of peels to treat the face, scalp, neck, hands, body, and forearms. It also discusses the use of peels to treat aging skin, stretch marks, scars, melasma, chloasma, acne, postinflammatory hyperpigmentation, and scalp keratoses. The mechanism of action, indication, application, and results are discussed for a variety of chemical peels including alpha hydroxy acids, trichloroacetic acid, salicylic acid, resorcine, and phenols. Also covered are any contraindications, precautions, and safety issues. This edition includes new material on adjunctive procedures such as microneedling and mesotherapy as well as new information on mosaic peels. Treatment prior to and following the peel are also discussed in detail, and a full chapter is devoted to discussing complications associated with chemical peels. The book incorporates color clinical photographs throughout as well as descriptive tables summarizing key information. Based on the author’s extensive experience in both research and practice, this updated reference is an invaluable guide to all providers involved with chemical peel treatments.